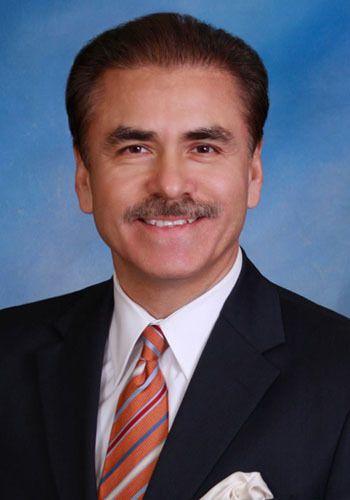 David N. Calvillo - Mediator based in Houston, Texas. If you’d like a list of available dates for David Calvillo, please submit a request below. You will hear back directly from David's assistant, Lisa Adair. David is a Certified Public Accountant and certified as a Civil Trial Specialist by the Texas Board of Legal Specialization. David has participated in hundreds, if not thousands, of mediations as an advocate during his career. At the urging of two local district judges, David finally enrolled in and completed the certification training to serve as a court-appointed mediator in 2006. Since that time, David has been appointed by various courts, has been certified as a mediator for the United States District Court, Southern District of Texas, and has been requested by dozens of counsel in pending lawsuits to serve as a mediator. David utilizes experience in the trenches as an experienced civil trial specialist and his calming listening skills to hone in on the issues at hand. The results speak for themselves. From the tragic multi-party wrongful death, the complex commercial or construction dispute, troublesome employment situation, to the most direct intersection collision case, David's mediation abilities have proven critical to the parties in resolving and documenting the end of the lawsuits. We've enjoyed a great success rate and will employ those same skills to resolving your dispute. David received his training at the A.A. White Institute with the University of Houston and maintains an active continuing learning program specifically in the field of mediation. This dedication to staying abreast of the latest developments in the field has earned him the title of "Distinguished Credentialed Mediator" by the Texas Mediator Credentialing Association and a list of approved mediators with the South Texas federal district courts. He is also recognized as a leader in the field and currently serves the profession as an active member of the Council of the Alternative Dispute Resolution Section of the State Bar of Texas. He has also served as an arbitrator and panel Chair for various construction and commercial arbitrations. As a professional neutral, David has been selected to serve as a Special Discovery Master and a Receiver in dozens of cases that call upon his multidisciplinary training and experience.